I got the case on Thursday & it's a perfect fit. Keeps the phone slim protects the cameras & screen. Also feels nice to hold too. The spigen does not protect the camera. I use Supershieldz about 8 bucks at Amazon(3 pack).. I also used these on my Mate 9 that survived a few drops. 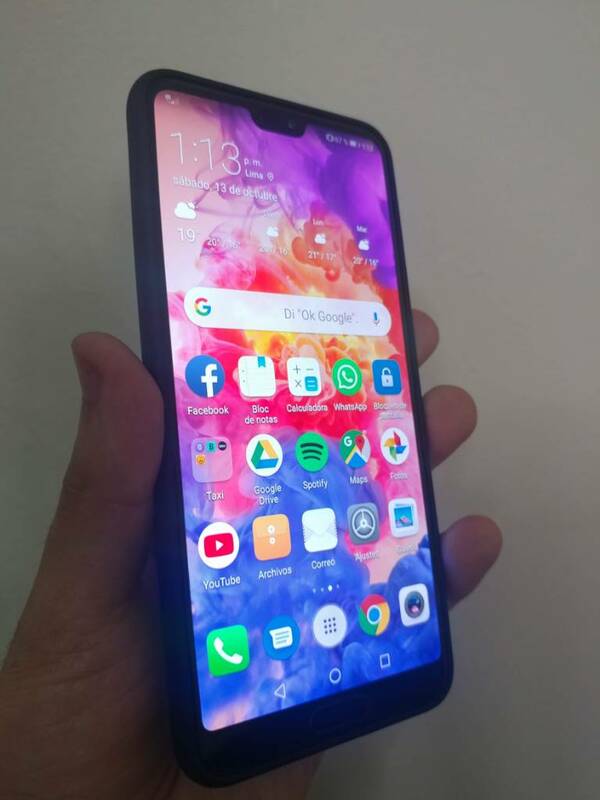 I had exactly the same with mine from EE, Huawei customer service said it should have been included but their Twitter said different retailers can customise the contents. EE on twitter wouldn't have none of it saying as they don't list it as included on the EE site they wouldn't help. Had a EE after sales call and expressed my disappointment at the missing case, they advised me to call customer services who inturn said to go back to the store and call back if I had no luck. In-store they said it has been included in previously but as it was sealed they couldn't do anything. Called EE back and they agreed to credit my account so that I could go and buy a case myself. I purchased this from Amazon. 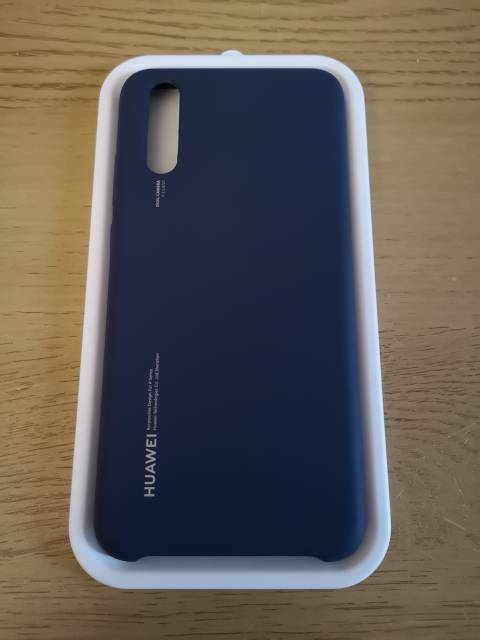 Got it in blue to match the P20 Pro. It's pretty nice. For when I'm working I needed a holster. Previously for my Droid Turbo (may it rest in peace) I had a Blackberry holster that was just super. Leather, really well made with a nice felt inner lining and a magnetic flap with a 360 belt clasp. So I started looking. Amazon to the rescue. I purchased this leather holster that has all those features and it was really inexpensive, like $12. Yes, it says it's for the Blackberry Key 2 but I compared the specs and they are virtually identical. The P20 Pro fits in the holster with the case I mentioned above. I'm currently working on getting a sleeve as I like to just slip the phone in a leather sleeve and slid it in my back pocket when I'm not working. Yes and no. The bulk of the back of the Spigen case is a little further out than the camera. 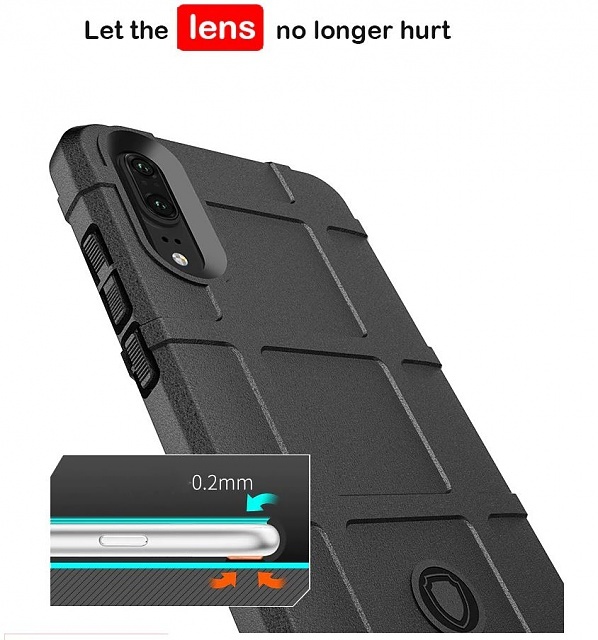 The section of the case that has the "carbon fiber" look is recessed a little bit, enough that it's exactly flush with the camera. When sitting on a flat surface the camera is still not making contact with the surface. Overall I like the Spigen case. It fits well, but isn't too tough to put on. The button work great, and all of the cutouts are exactly where they need to be. 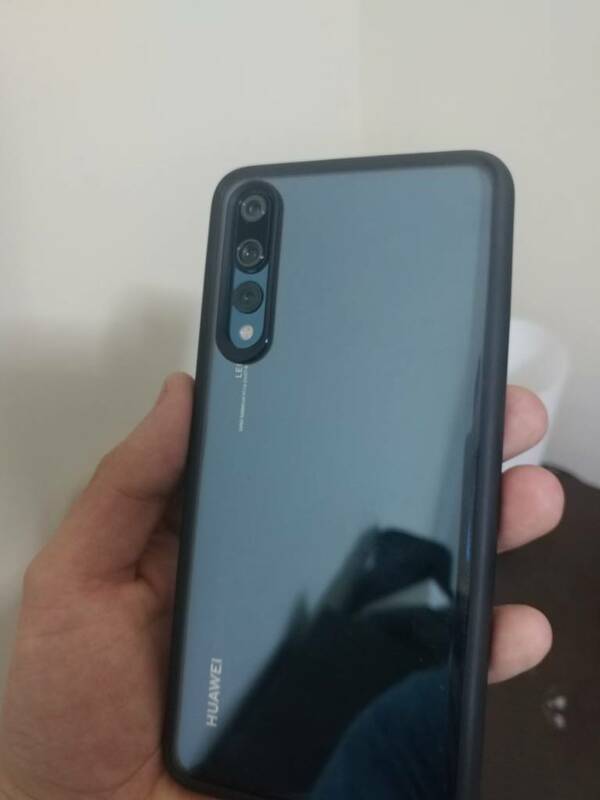 If you have the shiny finish it will hide it, but my P20 pro is black, so it doesn't really matter. I've wanted a sleeve for the P20 Pro and actually bought one on Ebay but it wasn't big enough although it was specifically made for it. I had good luck with a Blackberry sleeve and holster when I had my Moto Droid so decided to look into getting a BB sleeve. Found that the BB Key 2 was roughly the same size as the P20 Pro. Found a sleeve on Ebay and ordered it. The leather is stiff, which I like. I had to take off my case when I use it but that's only for the weekends so I can slide it into my back pocket. The top of the phone is exposed and if "it" sees my face it will open and you don't have access to the volume or on/off button but I like it. I got this one from Rock, it's really good, slim and it protects the cameras. 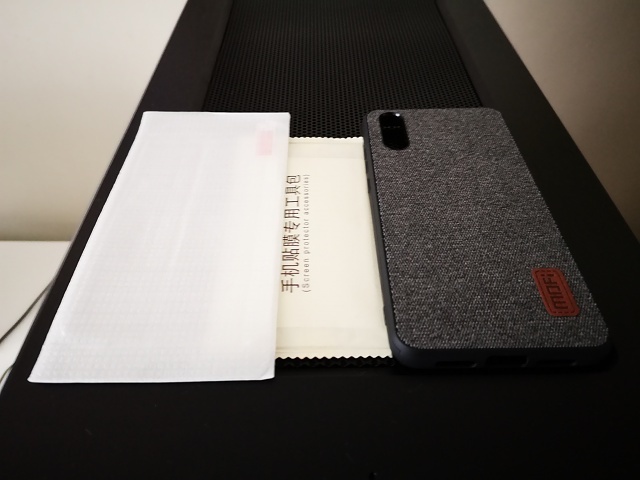 It doesn't offer much protection, but it looks and feels soooooooooooo nice and comes with a tempered glass screen protector and a microfiber cloth. On the weekends I take off my case. I like to use a sleeve. Got this BB sleeve for the Key 2 and it fits pretty darn good. Nice leather, nice soft interior padding. 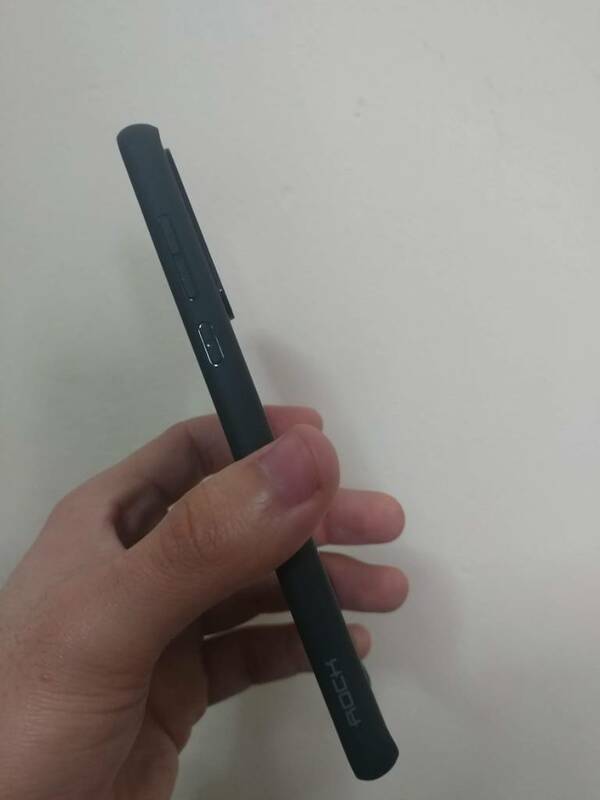 Has an opening on the bottom that lines up perfectly with the USB C port. The P20 Pro shows it's top just enough so that the face unlock works without taking it out of the sleeve so you can "look" at it and when it opens see if you have any notifications. No, you can't operate the side buttons. Still, it works for me. Want this case sooo bad but they don't make it anymore . Nice! Thanks. UAG sent me on a goose hunt through their distributors and I was able to find one. Thanks again though! 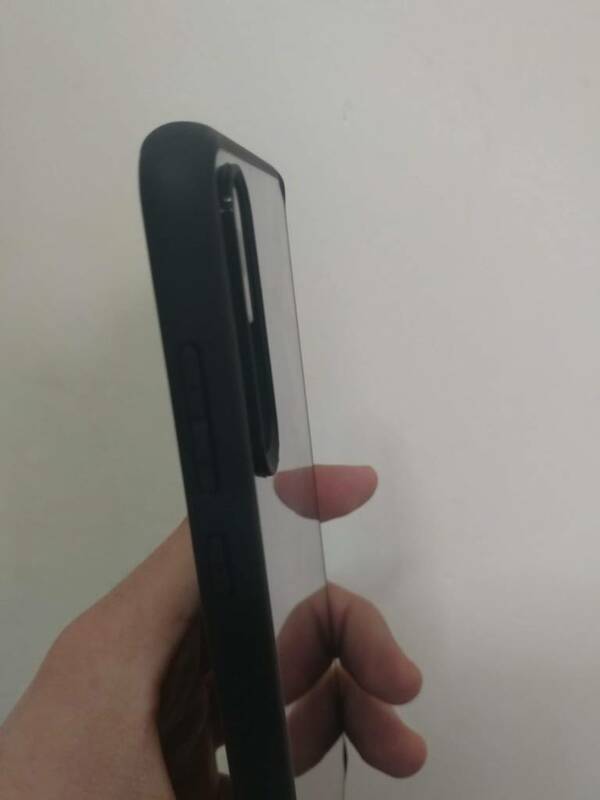 Anybody know where I can get the Spigen P20 Pro Tempered Glass screen protector shipped to the U.S.? Other than Spigen UK eBay.